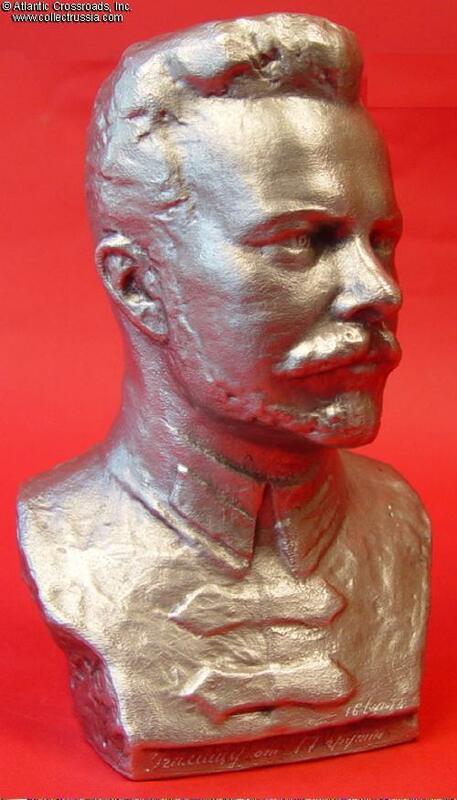 Mikhial Frunze, bust in Silumin alloy with 1973 presentation engraving to a school by a group of students. 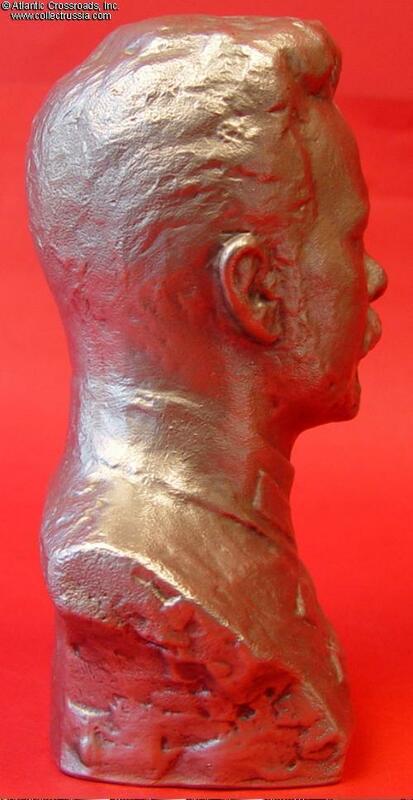 Mikhial Frunze, bust in Silumin alloy with 1973 presentation engraving to a school by a group of students. Excellent condition. About 6" tall. Engraved at the base "To the school from the 17th group. 16/XII-1973". This school referred to is most likely a military school, judging by the choice of the gift. The bust was apparently presented by a group of student, most likely upon graduation or on occasion of a jubilee of the school. 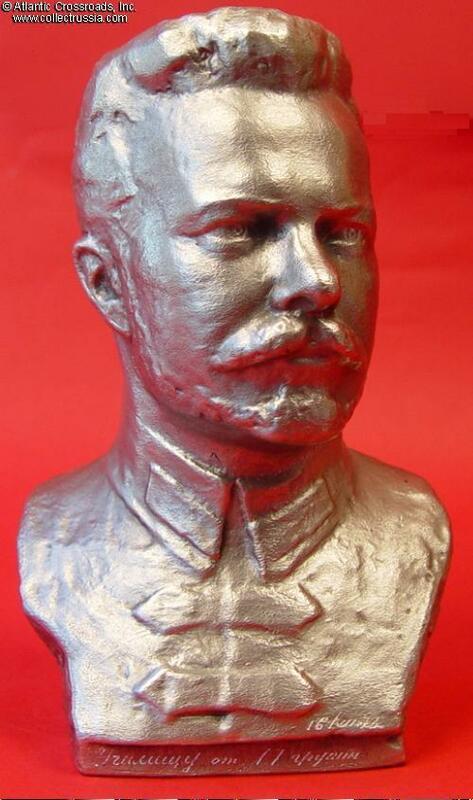 Frunze was one of the top Bolshevik military commanders during the Civil War. After the war he occupied top positions in the military and the government. He died in 1925 under such mysterious circumstances that many now believe Stalin played a hand in this.